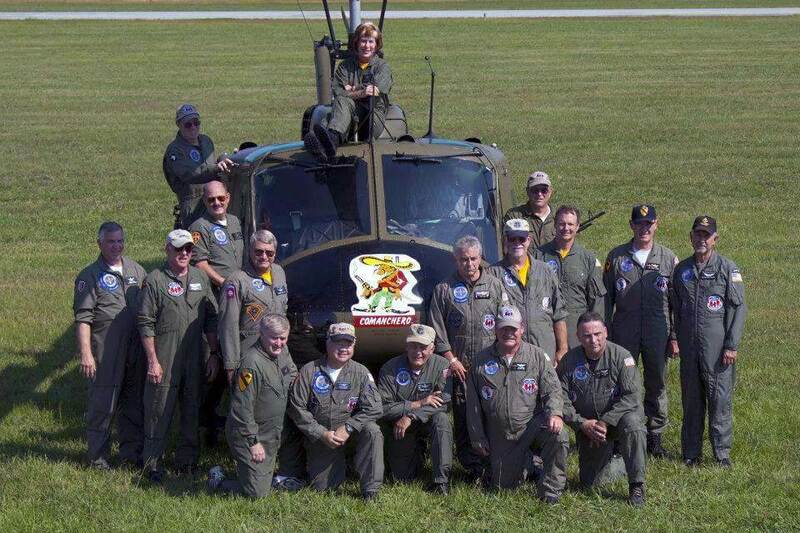 The Army Aviation Heritage Foundation (AAHF) is a non-profit public educational organization, dedicated to informing the American people about the history of Army Aviation, using Vietnam-era helicopters maintained and operated by some of the very people who flew them in Vietnam. The Sky Soldier Team consists of veterans and patriotic civilians who are highly qualified men and women volunteers. Since 1999, members of the Sky Soldiers Team have conducted performances before more than 27 million people, and provided living history flights to tens of thousands. The foundation has four chapters which share a legacy of the Army and Army Aviation through use of historic AH-1 Cobras and UH-1 Hueys—the largest fleet of flyable Cobras and Hueys in the United States. Each program is presented to honor our country’s military and its veterans while inspiring patriotism in the public. If you would like more information about our organization, please contact us 770-897-0444 or visit our contact information page at www.armyav.org. Having been born and raised U.S. Army, I have always been fascinated with all things military. The guys and gals that fly and support the Sky Soldiers Demonstration Team do such an outstanding job of keeping alive the memories of these warbirds by displaying a true love for what they do… I have told others of what you offer knowing there is nothing like it ANYWHERE! What a day and what a ride – Keep them flying Sky Soldiers!